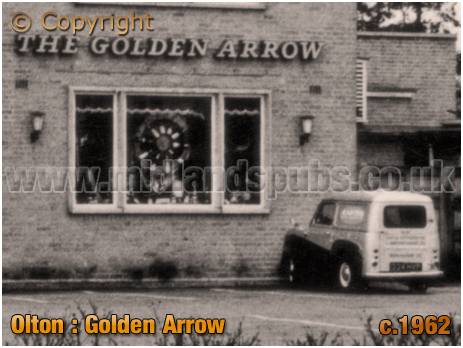 History of the Golden Arrow at Olton in the county of Warwickshire. The Golden Arrow was a pub with a relatively short lifespan in that it traded for just over forty years. My interest in the place was aroused when Barbara Corcoran contacted me and kindly sent an image of the proposed inn sign for the house. 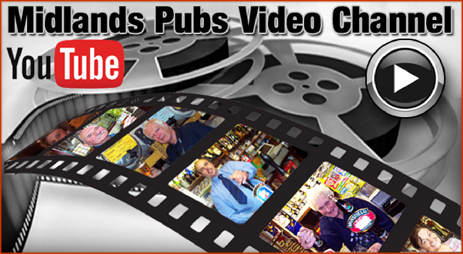 Her generosity inspired me to drop other projects and take a look at this 'modern' pub. 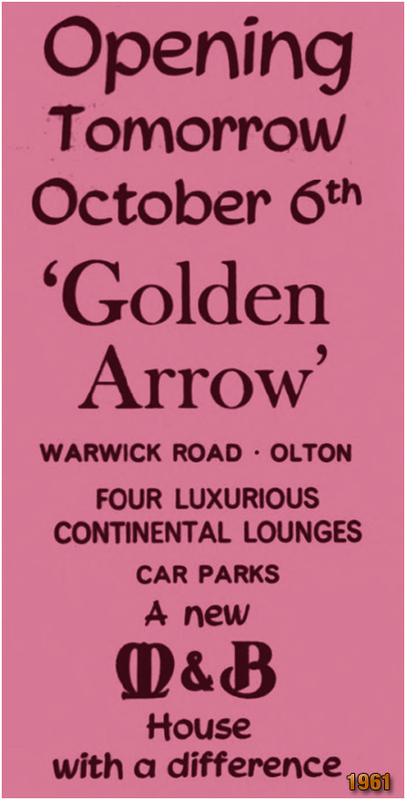 The Golden Arrow was built on a plot next to the Olton Cinema. The plot was extensive, though a house was demolished to make way for the new building. 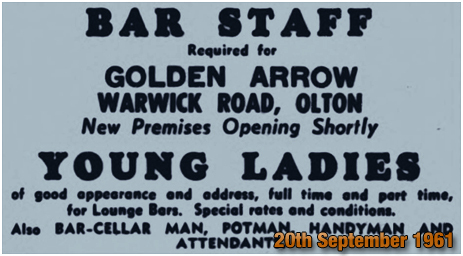 The above image is one of many that appeared in the local newspapers prior to the Golden Arrow opening in October 1961. Mitchell's and Butler's were clearly not concerned with the wage bill at the new pub as they were offering "special rates and conditions" for an array of jobs that were usually only featured in larger establishments. 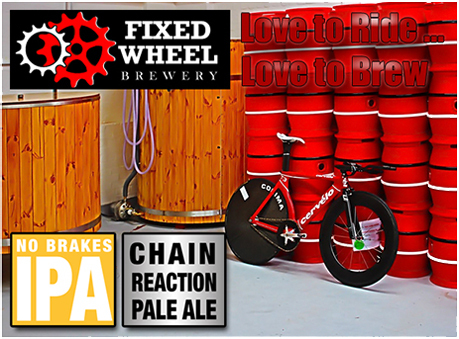 The brewery seemingly wished to make an impact at Olton and only wanted to employ those of "good appearance and address." Historically, the site of the Golden Arrow was a short distance north of Bickenhill Hall and close to the meandering Westley Brook that was later culverted. A lodge for the aforementioned hall was located on the site later used for the cinema. The hall was converted into Olton College for Girls but closed after the First World War. The building was demolished in 1932. The name may seem incongruous but this was once a detached portion of the parish of Bickenhill. In 1874 this Lyndon quarter of the parish, known as Bickenhill Park, was transferred for civil purposes from the Meriden Union to Solihull. The demolition of the college and clearance of the surrounding land was part of the development of Brookvale Road, on the corner of which the Olton Super Cinema was constructed. Designed by Messrs. Horace G. Bradley and Clarke, an architectural practice responsible for many fine cinemas, the theatre was built for a specially formed company called the Olton Cinema Co., Ltd. The cinema opened on October 2nd 1933 with "Falling For You," a British comedy starring Jack Hulbert and Cicely Courtneidge. The manager of the cinema during the 1930s was Walter F. Noel, the son of a London solicitor who lived nearby at Pembroke House. The last film to be screened at the Olton Cinema was "Red Sun," a French-Italian-Spanish Western film starring Charles Bronson and Ursula Andress. The cinema closed on September 16th 1972. A fine article by James Clayton appeared in the Birmingham Daily Post nine days later in which he wrote: "The demolition men will be moving in and after a recent interval some other building will take its place - most probably offices... After only a week, the Olton Cinema is merely a shell. Usable bits and pieces have gone - some carpets, a few seats, the projectors, and other furniture and machinery, were quickly stripped out, sold, or taken to other cinemas or, in the case of some furnishings, to a home for mentally-handicapped children. What remains is a big, echoing hall, untidy and shabby, the ornate plaster work on the walls a reminder of the doubtful taste of past years, the floors still littered with the debris dropped by audiences whose cigarette ends and chocolate wrappings somehow crept into crevices beyond the reach of brooms and dusters." 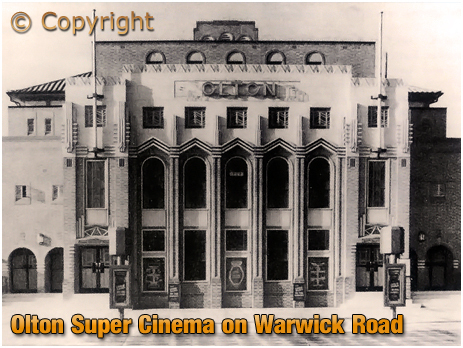 The journalist went on to remark that: "The Olton Cinema was not the ugliest nor the handsomest of Birmingham's suburban cinemas. It was a functional building, and its only acknowledgement of the rather elaborate trappings of some of its neighbours was a few panes of stained glass in its windows." When discussing the decline of the big cinemas, he asked William Ryall, the last manager of The Olton, for his opinion or reasons for the closure. The manager stated that he could almost put a date to the moment when things started to go bad - and that was the week commercial television arrived in February 1956. At the time William Ryall was the head projectionist at the old Tivoli at Yardley, and after he went home for his tea, he "always had to push his way through the queue to get back to work." After that week, he added, there was no queue. 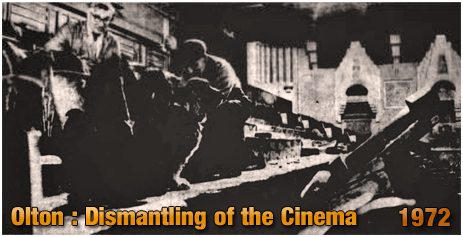 The grainy newspaper image shows Percy Robinson and Harry Claxton, along with Fritz the dog, dismantling seats in the balcony. Following the demolition of the cinema an office block named Virginia House was erected on the site. For just over a decade, the Golden Arrow would have benefited from some spin-off trade from the neighbouring cinema. This advertisment appeared in the Birmingham newspapers on the eve of the grand opening of the Golden Arrow. The brewery were keen to emphasise that the new building had "four luxurious continental lounges." I suspect that the manager at the time of opening was Leslie Fewkes. I have not wandered off to find the licence register for this house but he was certainly recorded as the licensee during the following year. Going by the name of Les, he was listed as F. Leslie Fewkes by the Birmingham Daily Post. This makes we wonder if he was the Erdington-born Frank Leslie Fewkes who was awarded the Distinguished Flying Medal during World War Two. The publican was mentioned in the Birmingham Daily Post in September 1963 when his only daughter, Patricia Suzanne Fewkes, married Peter Colin Franklin at Solihull parish church. When the couple emerged from the church after the ceremony, they walked beneath an archway of cricket bats and hockey sticks because the groom, a production and control chemist, was a member of Olton Cricket and Hockey Club. It was stated that Patricia Fewkes was educated at a convent school in Oxford and Birmingham. I wonder if the newly-weds held their reception in the Kristiana Suite of the Golden Arrow, a room allocated for such functions during the 1960s. 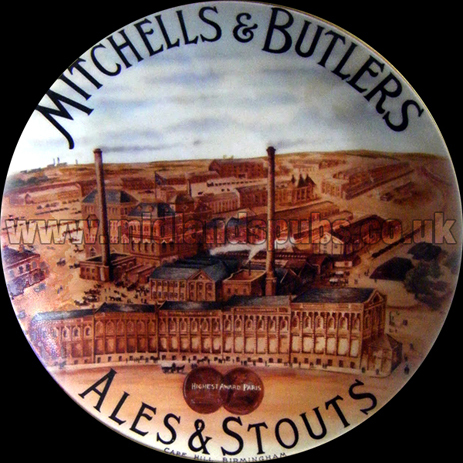 Leslie Fewkes, like many publicans in the area, had to face a crisis in the hot August of 1964 when Mitchell's and Butler's suffered a shortage of beer. He had to resort to retailing more bottled ales of which there was a stockpile at Cape Hill. 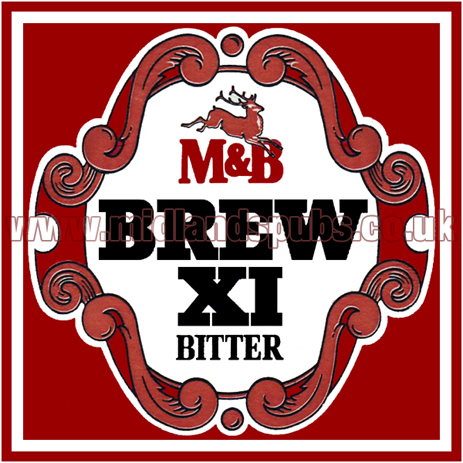 However, these proved unpopular with many punters who voted with their feet and sought refreshment at pubs operated by rival breweries. The pub was one of those targetted by the newspapers when covering the story of a Birmingham beer drought. One customer, a company director named Jack Myers, parked his car in its usual place on the Golden Arrow car park and told a reporter: "Bottled? We drank so much of the gassy stuff we all took off. It wasn't only we regulars who suffered. My wife didn't like it one bit. Oddly enough I eventually cultivated quite a taste for it." The journalist then ventured into the Golden Arrow to quiz the gaffer. Leslie Fewkes, without mild for a week and bitter for 24 hours, said: "We had the customer who complained about a couple of bottles blowing him up, but on the whole the crisis was jocularly received. After all, the Englishman is usually at his best when things are at their worst." Leslie Fewkes clearly had no beer supply problems when this photograph was taken for he seems to have a display of bottled ales that looks a bit like a wheel of fortune! Notice how tiny the little Austin van is. The photograph isn't quite crisp enough to make out the lettering on the van. It could say Carter on the side panel. On the Birmingham History Forum one contributor remembers Les Fewkes always wearing a dinner suit. He also recalls Harold, the man on the piano on Sundays, along with a barman called Peter who was the manager of the Solihull branch of Burton's. Despite a campaign by regular customers and some local residents, the Golden Arrow closed in 2004. The site occupied by the pub, car park and garden was such that a good number of luxury flats were built in its place. "Six children living at a Solihull nursery set off today for a holiday which was almost ruined by a thief. 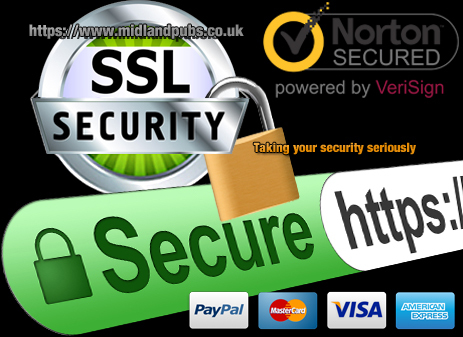 The raider stole about £50 collected by customers when he broke into the Golden Arrow public house at Olton. The money was intended to pay for a week's holiday at Ramsgate for children from the St. Christoper's Nursery. 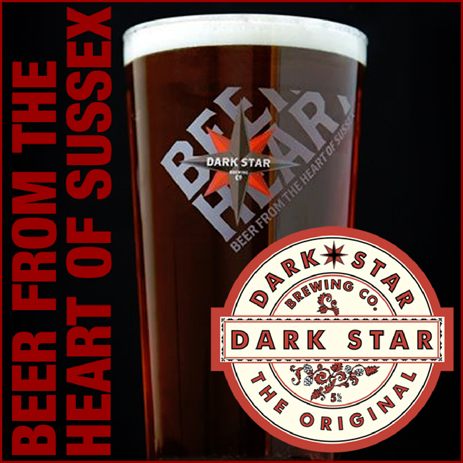 To save the holiday the brewery which owns the public house stepped in with a cheque for '50." 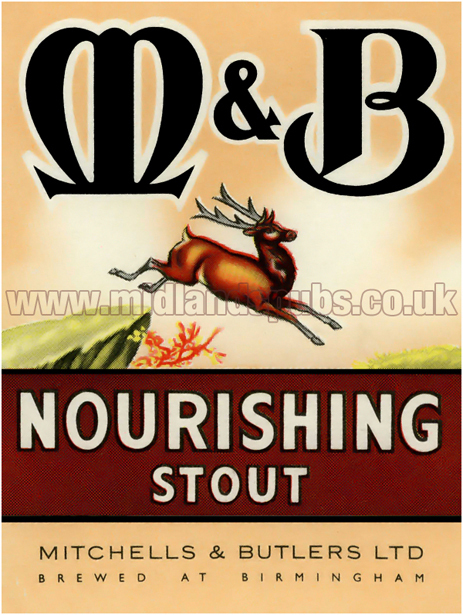 "Brewery Saves Holiday for Six"
If you have a genealogy story or query regarding the Golden Arrow you can contact me and I will post it here in addition to including your message within the website pages for Warwickshire Genealogy. If you would like to share any further information on the Golden Arrow - perhaps you drank here in the past? Or maybe knew a previous publican? Whatever the reason it would be great to hear of your stories or gossip. Simply send a message and I will post it here. 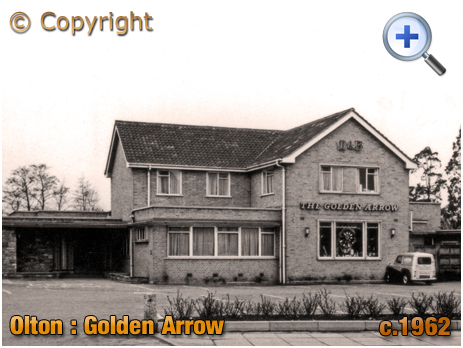 As stated at the start of this web page, Barbara Corcoran contacted me and kindly sent an image of the proposed inn sign for the Golden Arrow. However, it has got me rather puzzled. With Olton railway station being a short distance away, I had assumed that the pub was named after the famous train that was operated by the Southern Railway connecting London with Dover. Consequently, I was expecting to see a more traditional railway sign. It is possible that the artist was thinking outside the box .... the Golden Arrow took passengers to the Channel where they would change for services to Paris. Perhaps the scantily-clad women shown on the proposed inn sign represent dancers from the Moulin Rouge, the place regarded as the birthplace of the can-can dance. It would seem that the artist's inspired illustration did not meet the approval of the board of directors as the photograph of the pub shows an inn sign with plain lettering. This makes this signboard proposal all the more unusual. UPDATE: In a case of crossed-wires, Barbara tells me that this was a design for an interior panel and not the inn sign. Perhaps a former patron can confirm if this appeared on a wall of the Golden Arrow. 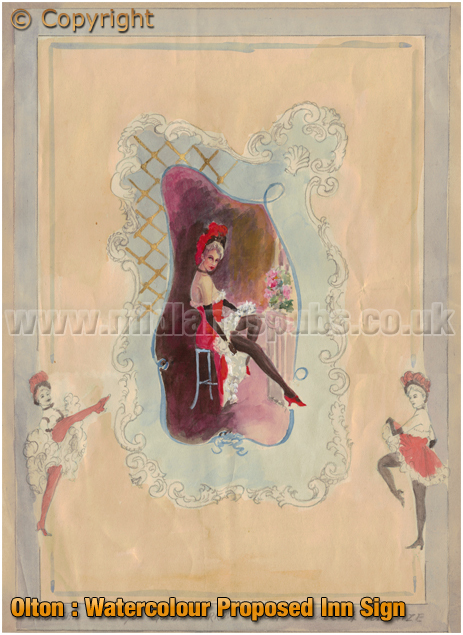 The watercolour prepared for Mitchell's and Butler's was the work of Barbara's great uncle William Ebenezer Vickers. 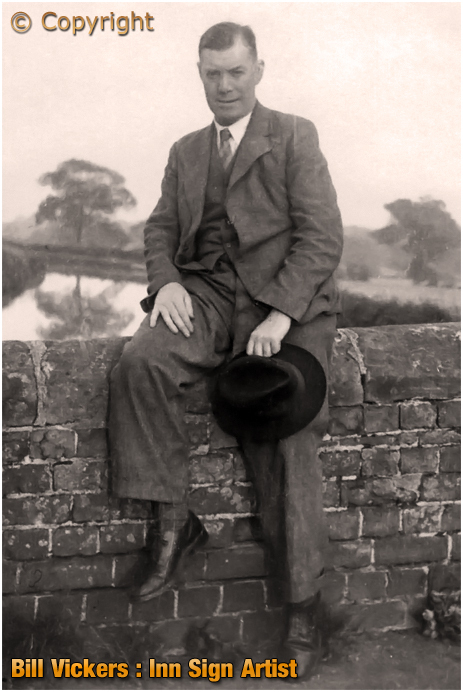 Pictured above, he was born in 1898 at Birmingham, and died in 1982. Better known as Bill Vickers, he was the youngest son of Wolverhampton-born Edgar Vickers and Charlotte Cole who hailed from South Shields in County Durham. This couple founded the firm of Edgar Vickers, sign craftsmen, of Birmingham. The business was first based at No.2 then No.28 Coleshill Street but later moved to Liverpool Street. Charlotte started by helping her husband in the firm, and she soon became proficient in glass gilding, embossing and lettering. Much of her work went to all parts of the world. When her husband died in 1926 son Ralph [Barbara's grandfather] continued to run the firm. He died in 1962 and Bill took over the sign-writing company. He was married to Florence Amy Starkey, known as Florrie. They never had any children. Bill did not use his middle name Ebenezer, but used Edgar instead. He was the president of the Midlands branch of the Master Sign Makers. Bill lived close to the Golden Arrow, his house being in Lyndon Road backing onto Olton Jubilee Park.